On Thursday, Dec. 3 from 7 to 9 p.m., Suede Salon and Spa is partnering with Porsche in Cherry Hill for a Holiday Men’s Night event. The event, which is be held at Porsche of Cherry Hill, 2261 West Route 70 in Cherry Hill, will feature complimentary men’s manicures, brow grooming and chair massages. There will also be special rewards from Suede Salon and Spa on certificate purchase well as appetizers and spirits from Nunzio Restaurant and Bluecoat gin. Fifteen percent of gift card sales will benefit the Cooper Foundation. Gather your guys and come out for a night of cars and pampering — all for a good cause. 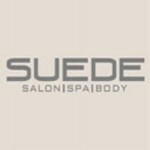 For more information visit www.suedesalonspa.com or cherry-hill.porschedealer.com.